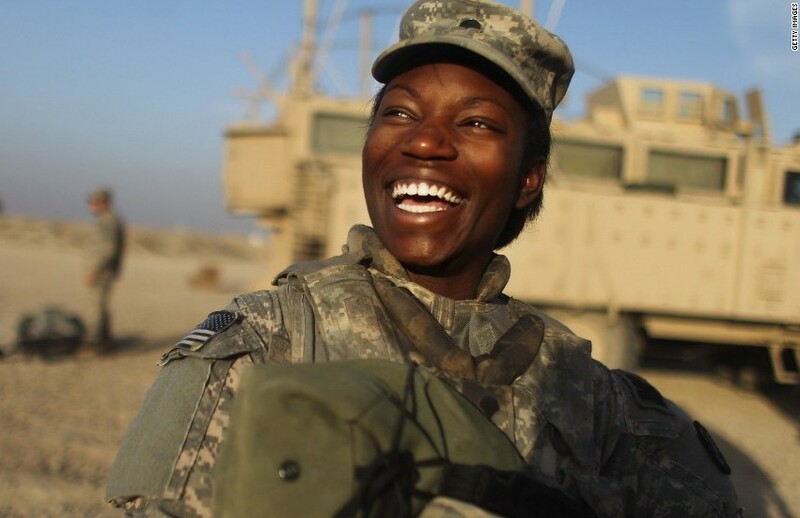 African Americans have fought bravely in every major military action since colonial times. They bravely risked their life for this country while often being treated poorly by racists both in and oout of the military. Separated but never equal in war, black soldiers were often ordered to perform dangerous missions, while at other times being relegated to menial labor duties such as building roads, cooking, or burying the dead. African Americans were effectively barred from serving in any military branch besides the army until World War II. After each war ended Black Americans continually had their military contributions minimized, yet they often clung to the belief that military service in wartime could lead to greater freedom and opportunity for all African Americans. 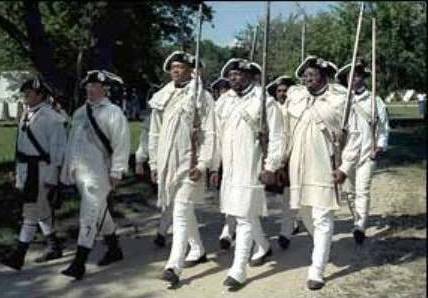 The Revolutionary War set precedents for black military service. Both Africans and African Americans fought on both sides of this war. After the war ended, slaves that fought for the British were either returned to their master or evacuated to Nova Scotia and Sierra Leone. Black soldiers from the north who had fought bravely in such battles as Bunker Hill helped convince leaders in several states to abolish slavery in later years. Upon the outbreak of the Civil War at Fort Sumter, many freed African American men answered the call of the nation. Unfortunately, a 1792 Federal law barred African American from enlisting in the Army. It wasn't until 1682 that Congress allowed slaves to join, but only with their master's approval.. During the war, President Lincoln issued the Emancipation Proclamation, which freed remaining slaves from the confederate south. Although African American Soldiers fought on both sides of the Civil War, the true victory was the abolition of slavery. When the Civil War finally came to an end, 16 African American Soldiers had been awarded the Medal of Honor. African Americans made up over one million of the more than 16 million U.S. men and women to serve in World War II. Some of these men served in infantry, artillery, and tank units. 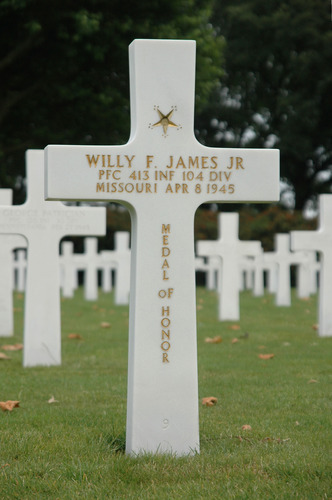 As General George S. Patton Jr. swept across France into Germany, in his Third Army were African American combat units. In 1945, there were approximately 240 field artillery battalions in Europe. Approximately eight of these battalions were composed of African Americans. 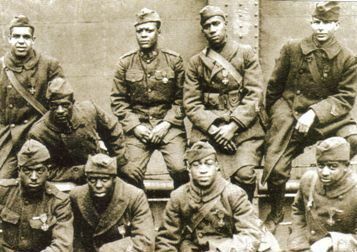 The 999th Field Artillery was one of these African American battalions in Patton’s Third Army. They manned an eight-inch Howitzer that could fire at 200 lb. Projectile up to 10 miles. In combat, this battalion fired approximately 22,200 rounds. 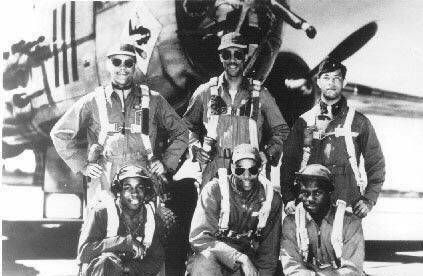 The Tuskegee Airmen were the first African American military aviators in the United States armed forces. During World War II, African Americans in many U.S. states still were subject to racist, so-called Jim Crow laws. The American military was racially segregated, as was much of the federal government. The Tuskegee Airmen were subject to racial discrimination, both within and outside the army. Despite these adversities, they trained and flew with distinction. Although the 477th Bombardment Group "worked up" on North American B-25 Mitchell bombers, they never served in combat; the Tuskegee 332nd Fighter Group was the only operational unit, first sent overseas as part of Operation Torch, then in action in Sicily and Italy, before being deployed as bomber escorts in Europe where they were particularly successful in their missions. The Vietnam War saw the highest proportion of blacks ever to serve in an American war. During the height of the U.S. involvement, 1965-69, blacks, who formed 11 percent of the American population, made up 12.6 percent of the soldiers in Vietnam. The majority of these were in the infantry, and although authorities differ on the figures, the percentage of black combat fatalities in that period was a staggering 14.9 percent, a proportion that subsequently declined. Volunteers and draftees included many frustrated blacks whose impatience with the war and the delays in racial progress in America led to race riots on a number of ships and military bases, beginning in 1968, and the services' response in creating interracial councils and racial sensitivity training. The Revolutionary War set precedents for black military service. Both Africans and African Americans fought on both sides of this war, often as a means for a black slave to win his freedom. When World War I broke out, there were four all-black regiments: the 9th and 10th Cavalry and the 24th and 25th Infantry. African Americans made up over one million of the more than 16 million U.S. men and women to serve in World War II. Some of these men served in infantry, artillery, and tank units. 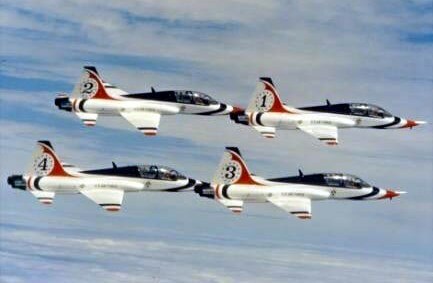 The Tuskegee Airmen were the first African American military aviators in the United States armed forces. The Vietnam War saw the highest proportion of blacks ever to serve in an American war. During the height of the U.S. involvement blacks, who formed 11 percent of the American population, made up 12.6 percent of the soldiers in Vietnam. In May 1917, Fort Des Moines opened its doors to black officer-trainees. Approximately 1,250 men attended the camp. .